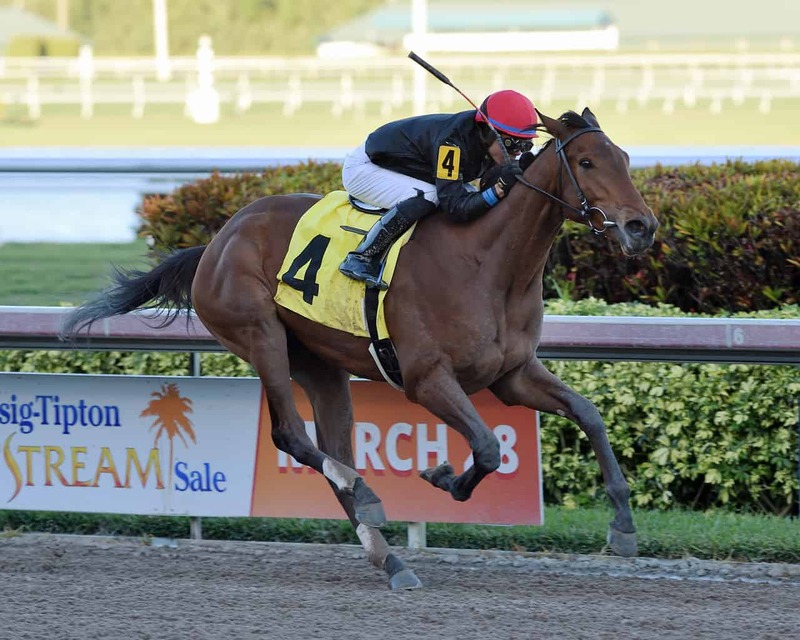 A tough field of eight fillies will do battle in the Grade 2 Davona Dale Stakes this Saturday at Gulfstream Park. 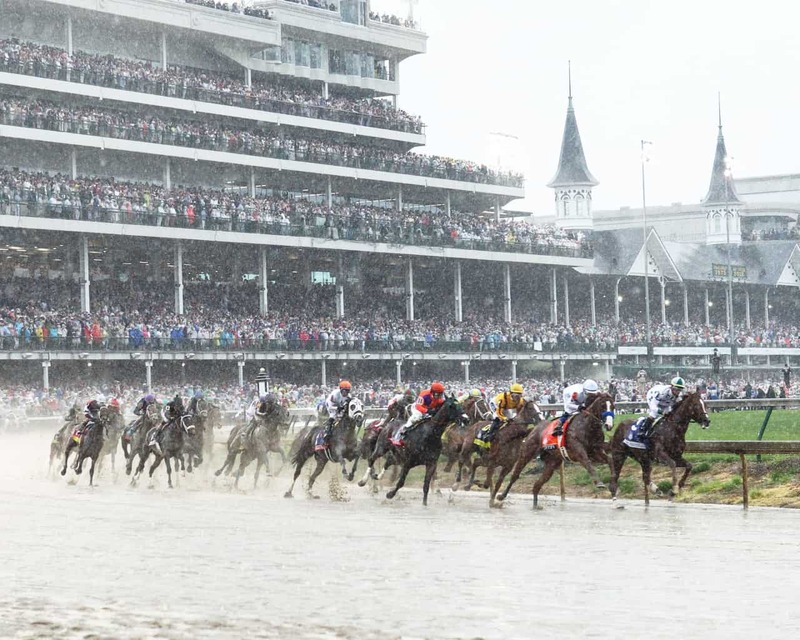 The 31st running of the race is among nine stakes, eight graded, worth $1.5 million in purses on a 14-race program highlighted by the Grade 2 Fountain of Youth, which anchors the card. 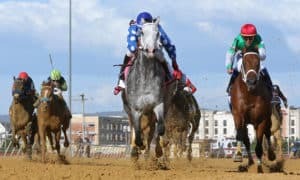 The race will serve as a points race towards the Kentucky Oaks, with 50 points going to the winner, 20 to the runner-up, 10 to third place, and 5 for fourth. Trainer Shug McGaughey, whose Fly So High headlines the field, enters Saturday’s program one win shy of 2,000 for his Hall of Fame career. Fly So High has put together back-to-back wins, each going a mile, by a combined 13 1/4 lengths, with her last win coming in an allowance event at Gulfstream Park. The Malibu Moon filly was a little late getting started as a 2-year-old, but she’s a serious prospect heading into her first try against stakes company. 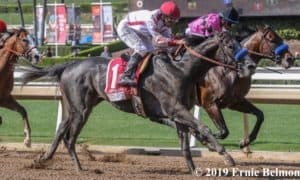 Having made a successful return to graded company four weeks ago in her first start for new connections, four-time stakes winner Take Charge Paula faces a new challenge here. 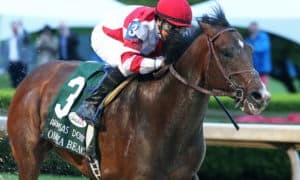 Purchased privately by Peter Deutsch prior to her sophomore debut and sent to trainer Kiaran McLaughlin, Take Charge Paula was a successful runaway winner last time out in the Grade 3 Forward Gal Stakes at Gulfstream Park. 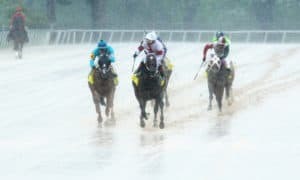 “She had one bad run around two turns, but she had a troubled trip that day, so we’re going to throw that out,” McLaughlin said. “She’s a very nice filly, and this race will be a good stepping-stone for whatever we do. 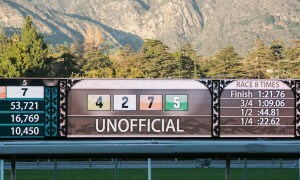 The one-turn mile should be a good test for us to see whether we go two turns next time or go back to 7 furlongs. She came out of the last race in great shape. She’s had two 1/2-mile (works) since and worked very well in both of them. It’s a stretch-out, but she just won going 7 impressively, so we’ll give her a chance and see how it goes. 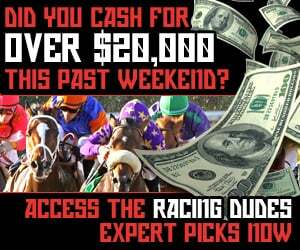 The Davona Dale will go off as the eighth on Gulfstream Park’s loaded 14-race card on Saturday. Local post time for the race is 3:00 PM ET. The field from the rail out: Sultry, Sunny Skies, Heavenhasmynikki, Alter Moon, Miss Mo Mentum, Take Charge Paula, Cache, and Fly So High. #8 Fly So High – I’ve been high on her for months, and it’s definitely time to see what she can do against stakes company. She’s currently ranked fifth in our Kentucky Oaks Standings, and she would be ranked higher, if not for her lack of stakes experience. McGaughey is just one win shy of 2,000 for his career, and this would be a special filly to give him that milestone victory. According to the numbers, she seems to be a major standout here, and she passed the eye test in both of her recent efforts. 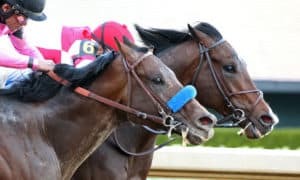 Expect her to stamp herself as one of the top two or three Kentucky Oaks contenders on Saturday. #4 Alter Moon – This seems to be the sneaky horse in the race. After running a solid debut where she finished second, Alter Moon returned one month later and cruised to an impressive maiden special weight win by 1 1/4 lenghts. Jose Velez is a solid trainer who doesn’t get a lot of recognition, but he seems to have a good one here. You’re likely to get a great price, and her breeding and solid recent workouts are signs that she could be a major factor. #6 Take Charge Paula – She’s now won three races in a row, including an impressive win in the Forward Gal over several of the same foes that have entered this stakes event. This race could be more of the same, and she’s drawn a perfect outside position to where she could stalk the early pace, if needed. She’ll try to pass yet another test in this spot as she continues to move up the Kentucky Oaks rankings. #7 Cache – So far, so good for this debut maiden special weight winner. However, is she ready for this kind of test off of just one race? Admittedly, she’s a hard one to predict coming into this race. She did everything right in her first start, stalking the pace before drawing off to win by nearly 3 lengths. The talent is there, and it will benefit her having Javier Castellano in the saddle once again. If she can mentally handle this kind of competition, then she will have a big shot. #1 Sultry – She won’t blow you away with overwhelming talent, but if she gets a decent pace to run at, then you can be sure that she will come with a run. This race seems to have a lot of speed signed on, which could allow Sultry to make some noise. She looks to be the perfect underneath play in this spot and may be one to even sprinkle lightly on top. #5 Miss Mo Mentum – It’s hard to know what she’s going to do from race to race. At her best, she looks like a filly with a big future, but she’s had some poor moments, including last time out when finishing sixth in the Forward Gal. The inconsistency makes her hard to bet, but at the right price, she wouldn’t be a terrible play. At her best, she could at least make things interesting. #3 Heavenhasmynikki – She’s a solid horse, but she faded last time out in the Forward Gal going only 7 furlongs. It looks like even more speed is signed on for this race, and the distance is longer. She’ll have to show a new dimension in this race, or else she’ll again be involved in a hot pace up front. #2 Sunny Skies – She’s up against a tough challenge here, running for the first time in five months while also looking like she could be a bit outclassed. It’s hard to see her making an impact here.